A comedy troupe I am in won an improvisational comedy competition at Planet Ant Theater. As a result, we were granted an opportunity to create an original comedy for their stage. 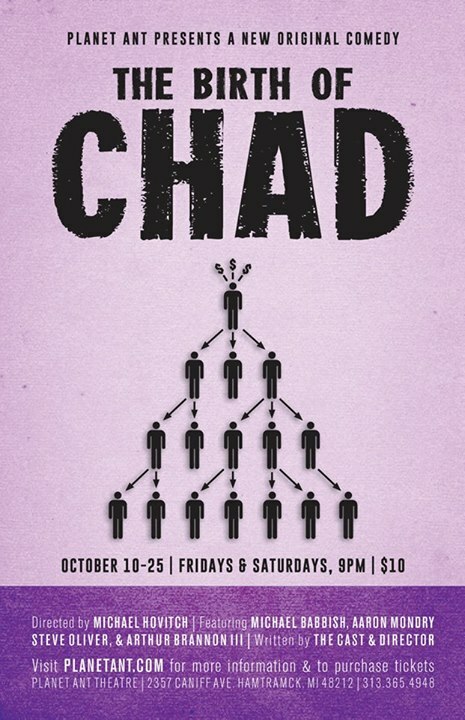 The result was an original comedy titled ‘The Birth of Chad,’ a one-act comedic play that explored the bizarre world of Multi-Layer Marketing. It was a wonderful show and a great opportunity.